The author of this interesting and complex book is a professor of physics at Brown University. He is also a jazz saxophonist who has recently completed his first electronic jazz album. In the book, Alexander tells of his early experiences growing up in the New York area with parents with connections to Trinidad. He was attracted to the world of music, first piano and then saxophone, and to the word of academic physics. He earned a BS at Haverford and Ph. D. at Brown University. There were post-doctoral studies at Imperial College in London and at Stanford. Among Brown’s personal heroes are Einstein and John Coltrane. We learn that Einstein was an amateur pianist and the Coltrane was also an admirer of Einstein. 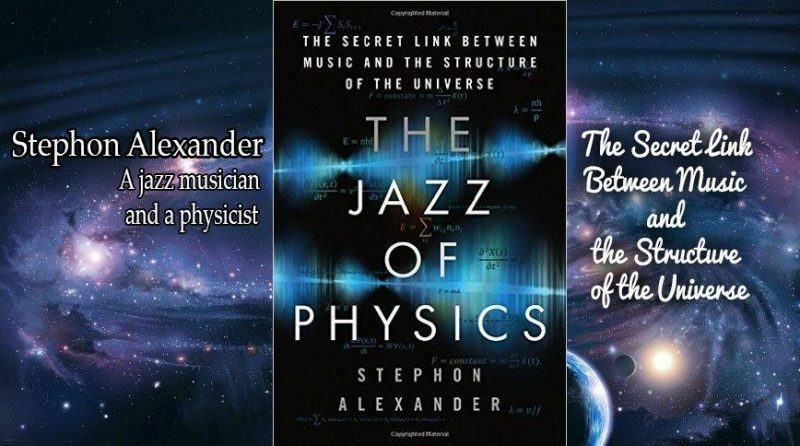 At the book progresses, Alexander relates that he sometimes got insights about physics while performing on the saxophone. Along the way, we are told about his encounters with various jazz musicians as well as physicists. One word of caution, his discussions about astrophysics and cosmology will be daunting to the average reader. This reviewer, who made a respectable grade in college physics, found some of the diagrams and formulae incomprehensible. The author mentions this and says to skip over these and get the larger picture.